Party spokesperson Randeep Singh Surjewala said that former Finance Minister P. Chidambaram had already spoken about how resources will be generated for Nyay. 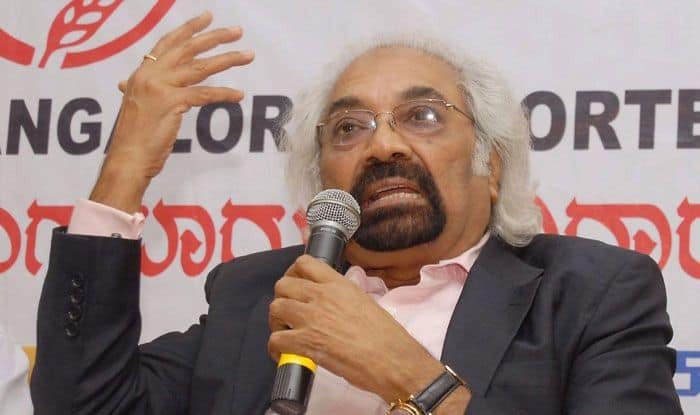 The Congress on Thursday distanced itself from the remarks of party leader Sam Pitroda that the middle class should bear part of the cost of the party’s flagship Nyay scheme, and said the money will be generated by cutting down on wasteful government expenditure as also by mobilising additional resources. Party spokesperson Randeep Singh Surjewala said that former Finance Minister P Chidambaram had already spoken about how resources will be generated for Nyay. “Congress does not subscribe to this (Pitroda’s) view at all. At present, the Centre and states spend Rs 60 lakh crore in running the government. A lot of it is wasteful expenditure. It is time government tightens its purse strings a little bit not by cutting down the employees of their salaries but by not spending Rs 6,000 crore on advertisement of Prime Minister in the newspapers, not spending Rs 2,500 crore on his 89 foreign visits and there are many-many heads as such,” he said. He was asked about the remarks of Sam Pitroda on funding of Nyay scheme. Surjewala said when Modi “travels now to address a rally for BJP, you pay for it”. “Rs 31,000 is the payment for the entire aircraft that flies the Prime Minister. Please also give me an aircraft for Rs 31,000, I will also hire. Those rates have never been revised because of obvious reasons. The exchequer currently pays for a lot of such activities,” he said. He said if the government’s expenditure is cut down by 5 per cent, additional resources can be generated. He said the size of India’s economy is expected to grow to Rs 400 lakh crore under a Congress government. “We will be able to give to middle class more tax incentives. We propose to raise the tax limit further. We propose to ensure whether it is the honest taxpayer — the salaried people — they get more incentives and tax benefits,” Surjewala said. “So, while I respect his opinion but the person who drafted the manifesto answered it for you and he categorically said don’t propose to impose any tax in lieu of Nyay,” he said. Pitroda told a news channel that under a Congress government, the middle class will have more opportunities and more jobs and the taxes may go up a little bit. He also said middle class should not be selfish and have a “big heart”. Pitroda said in a tweet that he was pained by selective editing of his views. “I am pained by the selective editing of my views on funding the historic Nyay scheme. My friend and Manifesto Committee Chairman P. Chidambaram clearly stated the Congress party’s position that the middle class will not be burdened,” he said. Nyay is a major promise in Congress manifesto that entails providing Rs 72,000 crore to the poorest 20 per cent people.